Being a barista can be pretty intense at times, especially when you’re hungover at 5.30am trying to set your café up for a successful day of trade. Even if you don’t have to put out all the chairs, tables, organize the till, get the milk, cut the soy, mix the chocolate and clean anything that was forgotten the day before … you still need to dial in the coffee! Lucky for you, we’ve got recipes for all of our coffees that should help you get to the sweet spot quickly. Here’s a basic overview of what that recipe means, and what to do with it. Dose: how much ground coffee you are putting inside your basket. Yield: how much liquid as a double espresso is ending up in your cup. 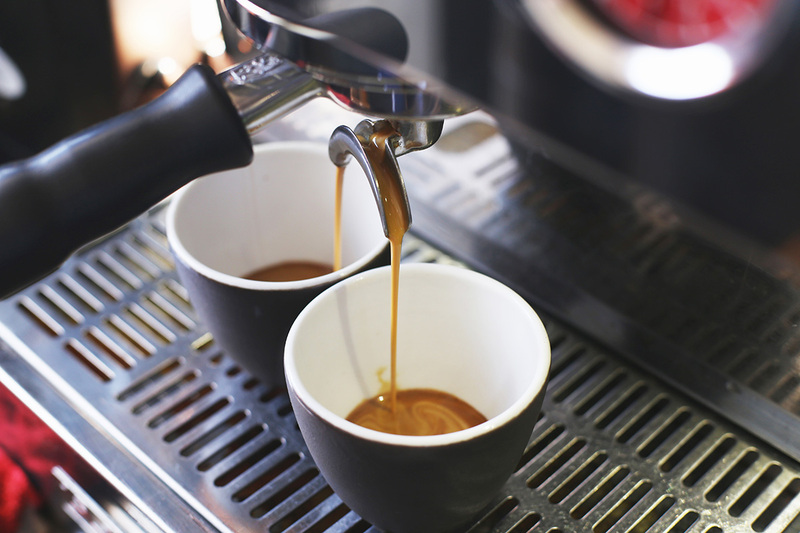 Time: how long your espresso runs for. A recipe ain’t nothin’ without a method, so here is our ‘method’ per say – an explanation of why these numbers are so important, and how to use them to get the tastiest bits out of your coffee. First: check your recipe! There’s no use cooking a sponge cake with a recipe for gluten-free brownies; similarly, there’s nothing good to come from using the recipe for one coffee, to dial in another. Hopefully you’re familiar with our O Files & Parameters page or you’re getting our parameter texts – if not, reach out to customer service. Let’s use Paradox as an example: dose 21g, yield 36g, time 30sec. Second: Get those scales out & weigh how much coffee you’re putting into your basket. You will need to adjust your dose & grind to get closer to the 30sec mark. Make sure you’re following the above blend code – putting 21g in each time, checking your volumetrics are giving you the right yield & timing your espresso. Once you have nailed the recipe, it’s time to taste it. – sour or chalky? Under extracted. – a bit flat, or lacking flavour? Under extracted. – a bit bitter, or dirty? Over extracted. If you’re getting none of the above then “yay!” You’re ready to roll. But if you’re getting one of the above then you’re going ot need to make some adjustments to the recipe. Fourth: let’s look at your dose. Sour or chalky? Try reducing your dose by 0.5g of coffee. Pull another espresso with a 20.5g dose, this will allow a little more water through the coffee which will remove that under-extracted taste. Still there? Try another 0.5g. Bitter or dry? Start with adding 0.5g of coffee to your dose … hopefully you’re starting to get the picture. As a rule of thumb, you shouldn’t have to remove or add more than 1g of coffee from the recipe to achieve great tasting coffee. & don’t forget! Every time you adjust your dose you need to adjust your grind to compensate the change or particle size. Fifth: let’s look at time. 30 sec might taste better than 28sec, or vice versa. But with so many variables, try to change just one thing at a time. Good luck playing with the code!